Shaykh Imran Hosein was born in the Caribbean island of Trinidad in 1942 from parents whose ancestors had migrated as indentured labourer from India. He is a graduate of the Aleemiyah Institute in Karachi and has studied at several institutions of higher learning including the University of Karachi, the University of the West Indies, Al Azhar University and the Graduate Institute of International Relations in Switzerland. Anas (RAA) said that he heard the Messenger of Allah (SAW) say: "Among the signs of the Last Hour will be the removal of knowledge and the abundance of ignorance ..."
There is widespread ignorance amongst Muslims in this age concerning the subject of the prohibition of riba in Islam. And yet it appears to us from New York, the riba capital of the world, that there is, perhaps, no other subject more important than this to which Muslims should be directing urgent attention, for it is here that the fiercest attack of all has been launched by the enemies of Allah (SWT).The widespread ignorance concerning the prohibition of riba is most certainly a confirmation of that sign of the Last Hour spoken of by Prophet Muhammad (SAW). It certainly appeared as though the process of Divine Revelation of the verses of the Qur'an had come to an end. And yet this was not so. Some eighty-one days after the Revelation of the above verse the Prophet (SAW) died. Shortly before his death, however, Allah (SWT) sent down the last Revelation with which He completed the Revelation of the Qur'an. In fact that last Revelation also terminated the process of the Revelation of Divine guidance which had commenced with our father Adam (AS), and had lasted for thousands of years. There can be no doubt that the topic chosen for the last Revelation must be one of supreme importance. What was the last Revelation? In the last Revelation Allah (SWT), the Wise, chose to return to a subject which had already been dealt with in earlier Revelations — in the Qur'an as well as in the Torah, the Psalms, and the Gospel — namely the subject of the prohibition of riba. That last Revelation confirmed the Prophet's retroactive enforcement of the legislation prohibiting riba in the khutba al-wida from Arafat. The last Revelation is to be found in this passage from the Qur'an. and his affair rests with Allah (i.e., it will be for Allah to judge him. He will not be forced by the Islamic State to return the riba he had taken). But as for those who return to it (i.e., persist in riba by way of lending money on interest, for example), they are destined for the fire, therein to abide forever! (And with this) Allah eradicates riba, whereas He blesses charitable deeds with manifold increase (because the essence of riba is to "take" and to "give" nothing in return, while the essence of charity is to "give" and "take" nothing in return). And Allah does not love anyone who is stubbornly ingrate and who persists in sin (with particular reference to the sin of consuming riba). Verily, those who have attained to faith and do good works, and are constant in prayer, and dispense charity, they shall have their reward from their Lord, and no fear need they have, and neither shall they grieve. shall not be inflicting injustice on anyone, and in giving up the interest which was due to you, you will not, yourself, be subjected to any form of injustice). And if the debtor is in difficulty, grant him time until it is easy for him to repay. But if you remit it (i.e., if you write off the debt) by way of charity, that will be best for you, if you only knew. The question is, why should Almighty Allah (SWT), after sending Revelation announcing the perfection of Deen and the completion of His favor to the believers, choose to send one more Revelation shortly before the death of the Prophet (SAW)? Why should He chose a time which appears to have been the last possible time, to send that Revelation (since Umar (RAA) said that the Prophet (SAW) died without being able to offer any explanations regarding the last Revelation), so close, it would appear, was the time when the Revelation was sent, to the time of the death of the Prophet (SAW)? And, finally, the question is: Why should Allah choose, when He did, to return to the subject of the prohibition of riba which had previously been addressed in the Qur'an? There must surely be a very important reason. Allah knows best! It appears to us that such a last Revelation, coming after the pronouncement of the perfection of the revealed Deen and the completion of the Divine favor, can only be used to reiterate something which lay at the very heart of the Divine guidance. Alternatively, it can be used to direct attention to that part of the Divine guidance in which the faith of the believers would be most vulnerable to a future attack by enemies of Islam. The choice of the subject of riba as the last Revelation, the fact that Allah returned to the subject of riba after announcing the perfection of revealed Deen, and the fact that He sent the last Revelation shortly before the death of the Prophet (SAW), all of this appears to constitute the most dire of all warnings that riba will pose the gravest of all threats to the faith, freedom, and power of the believers. This, then, is the importance of the subject, that herein lies the potential for the most dangerous, destructive, and devastating attack on the faith of the believers and the integrity and power of the Ummah of the Prophet (SAW). "There will come a time," he said, "when you will not be able to find a single person in all of mankind who will not be consuming riba. And if anyone claims that he is not consuming riba then surely the vapor of riba will reach him. (Abu Daud, Mishkat) According to another text "the dust of riba will reach him." The Prophet (SAW) thus made it abundantly clear that the greatest danger to the integrity of the Ummah and of the iman of the believers would come from riba. This confirmed the warning from Almighty Allah (SWT) Himself which was pronounced in the choice of riba as the subject of the last Revelation. The prophecy of the Prophet (SAW) concerning the prevalence of riba has today been fulfilled. Indeed it has been fulfilled in our own miserable lifetime! Specifically it has been fulfilled during the seventy years which have now elapsed since the Ottoman Khilafah was abolished in 1924. Up to 1924 riba- based capitalist Europe could succeed in penetrating only the regimes which presided over the affairs of Muslims. The Ottoman Khalifah, for example, had borrowed money on interest from Europe to such an extent that he was forced, in 1857, to succumb to European financial blackmail and, as a consequence, to abolish jizyah and ahl al-dhimmah in all the territories of the Ottoman Empire as a quid pro quo for debt and interest payment's relief. This, incidentally, was a classic example of financial imperialism. But it was also the beginning of the process of the dismantling of the sacred model of a public order (or State) in the world of Islam (Dar al- Islam), and of replacing it with the secular European model in which sovereignty was taken away from Allah (SWT) and given to the State. And that was an act of shirk! Since 1924, however, riba has penetrated the total economic life of Muslims all around the world. The financial imperialism inherent in riba has delivered the entire world of Islam by its very throat into the hands of enemies with sharpened knives. Indeed all of mankind is now trapped in the world of riba. Not only has the prophecy of the Prophet (SAW) been fulfilled through the total victory of riba- based banking all over the world, and through the riba which is inherent in non-redeemable artificial paper currency, plastic and electronic money, but it has also been fulfilled in the total corruption of the free and fair market. Today's so-called free market has become a dog-eat-dog market, something anticipated by Ali Ibn Abi Talib (RAA) who said: "A time is certainly coming to mankind when people will bite each other..."
It is also a matter of absolutely critical importance that Muslims should carefully study the prophecy of the Prophet (SAW) in which he has prophesied the collapse of artificial secular currency (i.e., paper, plastic, and electronic money, etc.). Abu Bakr Ibn Abu Maryam (RAA) reported that he heard the Messenger of Allah (SAW) say: "A time is certainly coming over mankind in which there will be nothing (left) which will be of use (or benefit) save a dinar and a dirham (gold and silver coins)." That prophecy of Prophet Muhammad (SAW) is about to be fulfilled. Today's monetary system uses "paper" to make "gold". That is fraudulent! Artificial money is quite different from real money. Real money has intrinsic value, paper money has none. Its only value is that conferred upon it by market forces. Its market value will last only for as long as, and to the extent that, there is demand for it in the market. Demand is based on confidence. So long as governments controlled the so-called free currency markets they could intervene to protect public confidence. But the currency market is now controlled by the most vicious of all speculative forces — forces fueled by compelling greed with no loyalties and no patriotism. Anything which seriously disturbs market confidence will cause the speculative stampede which will fulfill the prophecy of the Prophet (SAW). Here is an example: If Muslims gain control over their oil resources and demand that they be paid for their oil exports with gold rather than dollars made of non-redeemable artificial paper money, there will be significant loss of confidence in paper currency. Why should this be so? Non-redeemable paper, plastic or electronic money has value only to the extent that people are prepared to recognize it as possessing value. When public confidence in a currency is shaken, its value will collapse. A demand for gold, as payment for oil, will have the effect of shaking confidence in paper money. Speculative forces in the currency market will greedily seize that opportunity to make the killing of a lifetime. That in turn can cause the collapse of today's fraudulent international monetary system based on non-redeemable paper money. We should not forget, nor allow the world to forget, the dramatic, ominous, and unprecedented collapse of the US dollar in January 1980 when the value of the dollar relative to gold fell to approximately $850 an ounce! (In 1971 it was $35 an ounce. Its present value is about $380 an ounce). This collapse of the dollar took place in the immediate wake of the successful anti-Western Islamic revolution in Iran which gave control of the vast oil resources of Iran to an anti-systemic Islamic government. Iran's government is anti-systemic since it is based on non-secular foundations and it challenges the secular model of society and the political and economic world order produced by modern Godless European secular civilization. Why should an Islamic revolution in Iran threaten a collapse of the international monetary system? The experts in international monetary economics are silent! The question which we now pose is this: Who is that enemy who has succeeded in penetrating all of mankind with that riba which Allah (SWT) Himself eradicated? Is his attack on mankind and the Ummah with riba something taking place in a vacuum, or does it form a part of a larger attack directed towards the house of Islam itself? admitted that the special moment spoken of by the Qur'an has arrived. What was that special moment? The very forces which emerged in contemporary history and made the restoration of the state of Israel possible, are themselves the forces which have penetrated all of mankind with riba. The Qur'an identifies those forces as the evil Gog and Magog. It is, therefore, crystal clear that the penetration of the Ummah by the forces of riba represent an attack on the very house of Islam. The aim of the enemy is nothing less than to utterly destroy the faith of the believers! Grave Danger of Riba: Allah Wages War for the Liberation of the Economically Oppressed The importance of this subject of the prohibition of riba can be discerned in yet another way. Allah, the Supreme, spoke with such forceful language concerning the sin of riba that it is, perhaps, the greatest sin (other than shirk) that exists in the realm of belief or conduct. Allah's anger because of the oppression of riba is so great that the oppressors, who are already aware of their fate, will stand before Almighty Allah (SWT) after their resurrection as a people who appear to be driven to madness by the touch of Satan. 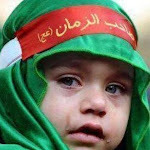 Allah (SWT) will not simply punish such people, He will wage a war against them. That Almighty Allah (SWT) declared that He and His Messenger will wage war against those who persist in riba (Al-Baqarah 2:279), and that this statement should constitute the last word from Allah, i.e., it forms the part of the very last Revelation, is indicative of the supreme importance Allah (SWT) attaches to this subject. In the entire history of Divine Revelation, to the best of my knowledge, Almighty Allah (SWT) has never used such extremely strong language for anything else besides riba. If there was any lingering doubt in the mind of anyone concerning the supreme importance of this subject, it should now be dispelled. Allah, the Almighty, indeed gave a tremendous demonstration to Bani Israel of His capacity to wage war over riba. And in so doing He taught a lesson which all of mankind should recall with fear! Allah the Almighty responded to this heinous crime by sending against them one of His creatures who possessed mighty prowess in making war. The Babylonian King, Nebuchadnezzar, overran Palestine, defeated the Israelites, enslaved all those whom he captured, destroyed the Masjid Al-Aqsa which had been built by Hadrat Sulaiman (AS), and transported the Israelites as slaves back to Babylon (Al-Isra 17:4,5). This was most certainly a powerful demonstration of Allah's capacity to wage war. There was a second demonstration when the Roman Emperor, Titus, ravaged Jerusalem and destroyed the temple (or masjid) a second time (Al-Israr 17:7 & 104). This, also, was related to riba. Allah sent three Prophets — Zakariah (AS), Yahya (AS), and Isa (AS) — to the Israelites. That part of the Israelites who rejected these Prophets became known as Jews (or Al-Yahood). Jews murdered Hadrat Zakariah (AS) inside of Masjid Al-Aqsa (Matthew 24:35, 36; Luke 11:51). They secured the beheading of Hadrat Yahya (AS) by way of deception. And they boasted of how they had killed Hadrat Isa (AS). In all three instances the Prophets of Allah had attacked them and denounced them for their wickedness. This included their denunciation of the Jews for the crime of changing the Torah and for consuming riba. Hadrat Isa (AS), for example, went into Masjid Al-Aqsa and found them engaging in riba. He cursed them, turned over their tables, chased them out of the masjid and declared: "You have taken the house of Allah and transformed it into a den of thieves." Thus it was because the Prophets of Allah exposed their wickedness of consuming riba, among other crimes, that they killed them (except for Hadrat Isa, whom Allah saved miraculously). Almighty Allah (SWT) responded by sending a Roman army which ravaged them. The warning of a declaration of war from Almighty Allah (SWT) for the consumption of riba assumes even greater importance when we reflect over the fact that Allah (SWT) intervened to protect the first masjid (i.e., Kaaba) when Abraha came with his army of elephants to destroy it. (Al-Feel 105: 1-5). Even when the Kaaba was filled with idols, Almighty Allah (SWT) still intervened to save it from destruction. And yet, even though there were no idols in the second masjid (i.e., Masjid Al-Aqsa), Almighty Allah (SWT) twice sent armies to destroy it. Such is the state of Divine anger over the oppression caused by riba. There appears to be another startling implication of this aspect of the last Revelation, i.e., Allah's declaration of war in connection with riba. The Qur'anic Revelation also clearly indicates that the believers will have to wage war for their liberation from the oppression of riba. There will be no other way. No amount of lectures and sermons will shake the foundation of the oppressors, or penetrate their hearts. Only a demonstration of power and a willingness to use any means necessary for its destruction will earn the Divine assistance necessary for a successful effort to dismantle the system of riba. Abdullah Ibn Hanzala (RAA) reported that the Messenger of Allah (SAW) said: "A dirham (silver coin) of riba, which a man receives knowingly, is worse than committing adultery thirty-six times." (Ahmad) Baihaqi transmitted it, on the authority of Ibn Abbas (RAA), with the addition that the Prophet (SAW) continued to say: "Hell is more fitting for him whose flesh is nourished by what is haram." Samura Ibn Jundab (RAA) reported that the Messenger of Allah (SAW) said: "This night I dreamt that two men came and took me to a holy land whence we proceeded on till we reached a river of blood, where a man was standing, and on its bank was standing another man with stones in his hand. The man in the middle of the river tried to come out, but the other threw a stone in his mouth and forced him to go back to his original place. Whenever he tried to come out the other would throw a stone in his mouth and force him to go back. I asked, 'Who is this?' I was told, 'The person in the river was one who consumed riba.'" It should be clear from the material presented above that the subject of the prohibition of riba is of supreme importance. Riba poses the gravest of all dangers to which the Ummah of the Prophet (SAW) is exposed today. Nearly every other danger pales into insignificance when compared with it. What, then, should we do about it? ………………………………………………….